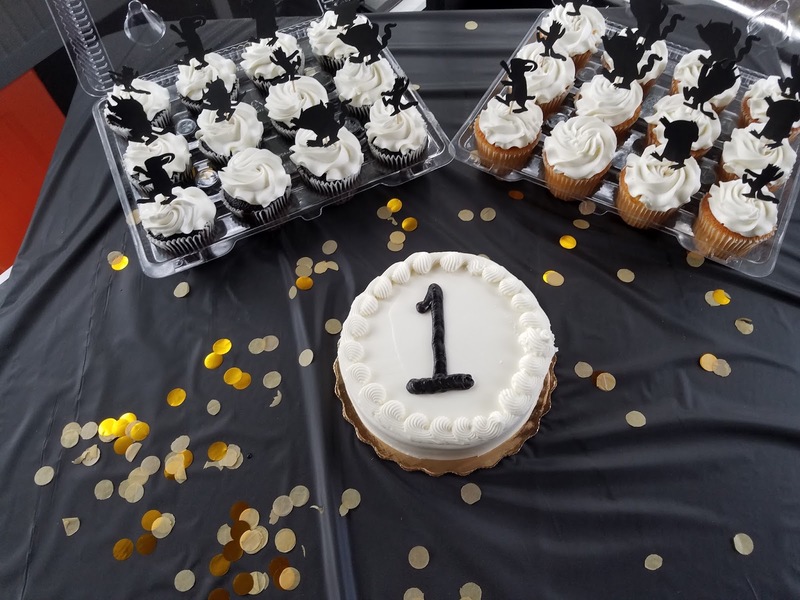 We had such a fun time celebrating Elijah's first birthday this past Sunday with family + friends. 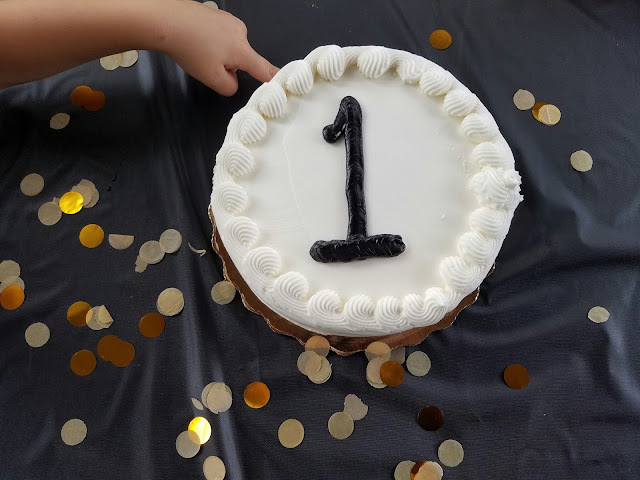 For some reason I always feel like the first birthday is a big deal, even though our kids will have no memory of the occasion (except through pictures). Gabriel's first birthday we did a Circus theme. You can see it here. We have been LOVING the book Where the Wild Things Are around here for the past few months, so I decided that I would use that as my theme for Elijah's party this year. It turned out so cute and wasn't too hard to execute. Of course our cupcakes + smash cake came from Publix. If you are unaware and live near a Publix bakery, your smash cake is FREE when you order at least 24 cupcakes or another sheet cake. Also, I love, love, loved our Wild Things cupcake toppers, courtesy of Texastootsies on Etsy. Smash cake success! Elija's "Max" crown was made by the very talented Mosey on Etsy as well. All of the kiddos left with a little goody bag of bubbles + crayons + their very own little Max crown. Overall I loved this theme for Elijah's party. It was fun to do something super sweet and cute, because let's face it, with boys everything is usually cars + trains + super heros. This party was basically for me.